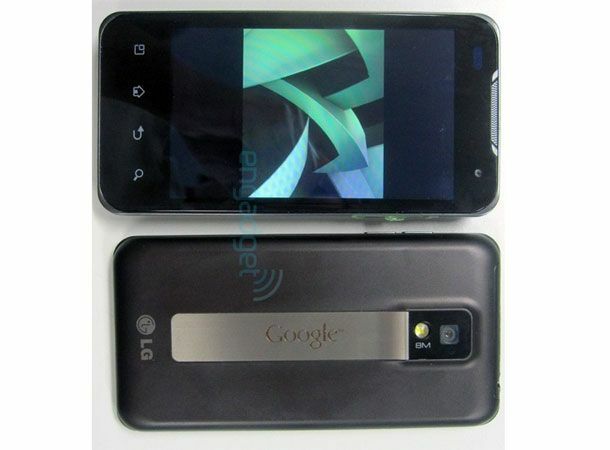 LG's upcoming flagship Android Optimus handset has leaked with a series of telltale spyshots under the codename the LG Star. Outed by gadget blog Engadget, the mooted LG Optimus Star is reported to pack a dual core Nvidia Tegra 2 processor behind a 4-inch display with a hefty 8-megapixel snapper with full HD 1080p video recording capabilities completing the tantalising mix. Although it is yet to be revealed exactly which version of the Google Android mobile operating system the leaked Star will run, the large, domineering Google logo emblazoned on the handset's rear points towards a relatively untouched version of the OS will be present. A front-facing camera is included on the device for video calling possibilities with a microSD slot and a microUSB port supply connectivity options. As you might expect from such an early and unconfirmed leak, UK release dates and pricings for the LG Star have yet to be announced. Stay tuned to T3.com and the T3 Twitter and Facebook feeds for all the latest on the upcoming arrival of the latest Android powered LG handset.